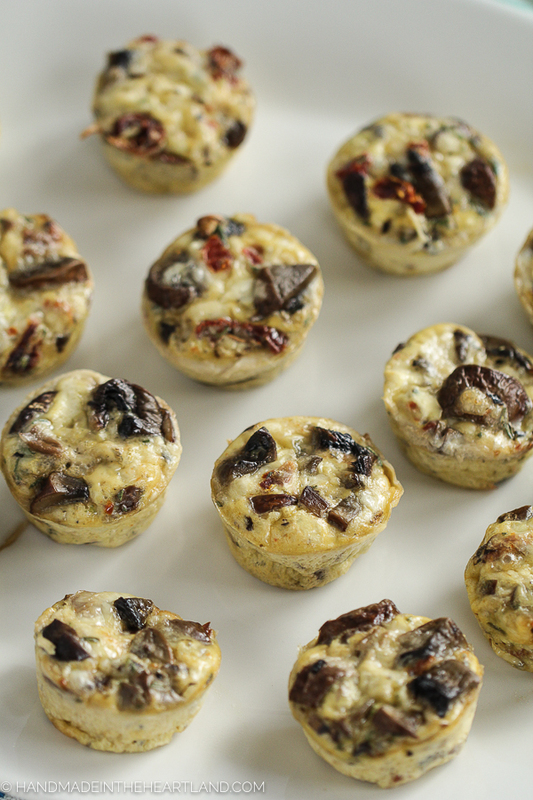 This recipe for mushroom and sun-dried tomato egg bites is the perfect brunch recipe. It’s so delicious they will all be gone in a blink! 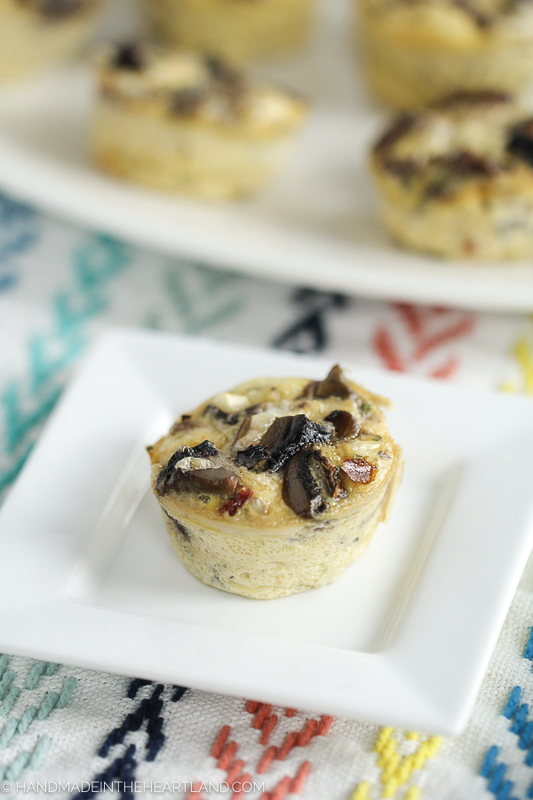 It’s a perfect low-carb, vegetarian, savory breakfast that is sure to satisfy everyone. This post is sponsored by Sprouts Farmers Market, all opinions are my own! I could eat eggs everyday and to be honest I pretty much do. I love a savory breakfast item and although this doesn’t include any meat it’s filling just the same. 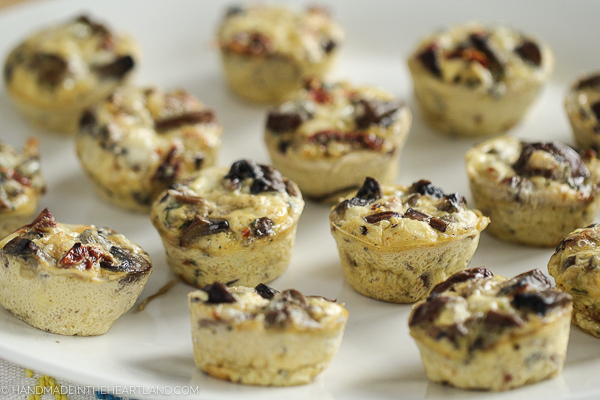 This mushroom sun-dried tomato combination is one of my favorites lately and I’ve made these egg bites for the last 3 weeks strait. I’m telling you this is a winner recipe. I purchased all the ingredients at Sprouts, except the fresh rosemary which came from the plant I have sitting in my kitchen. If you like rosemary I highly recommend getting a little plant for your home. I use it all the time! The first step in this recipe is to saute the mushrooms. 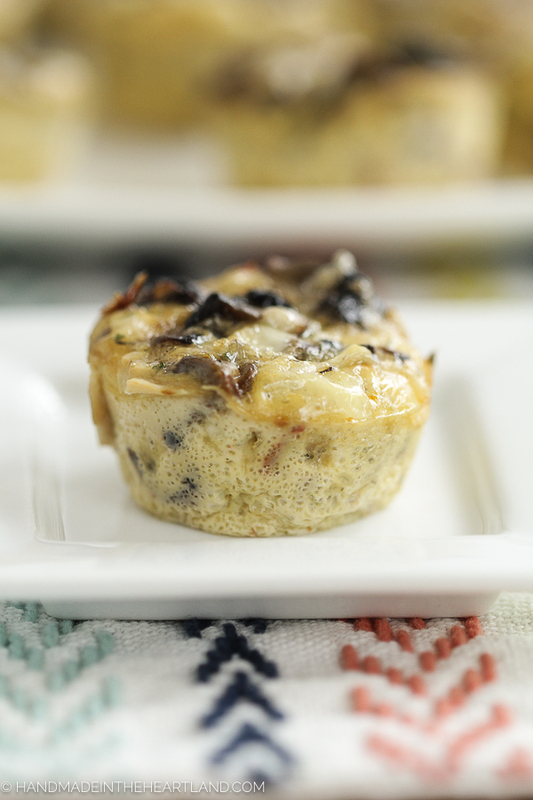 I have to tell you that I’ve made the recipe without pre-cooking the mushrooms and this step adds a ton of flavor to the final egg cup. Don’t get me wrong it’s still good if you simply want to dump all the ingredients and bake but if you have a few extra minutes cook the mushrooms, it’s worth it. 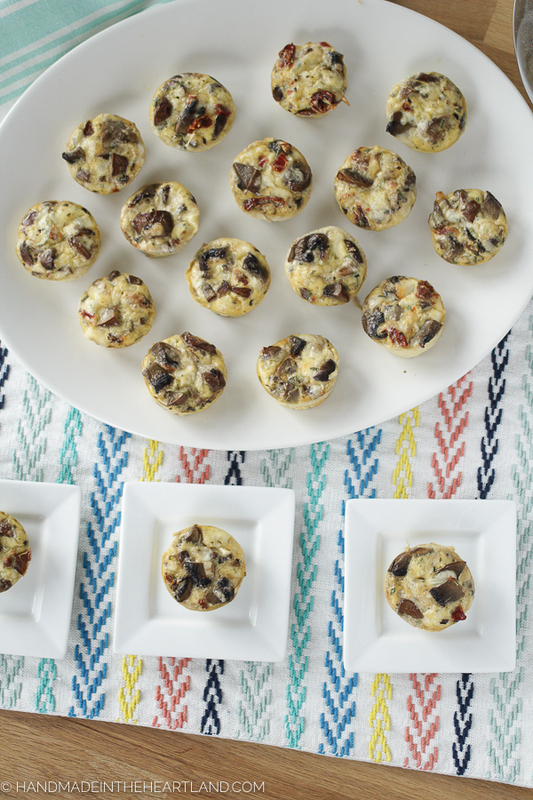 You can make these in a mini-muffin tray or a regular size muffin tray. The mini is perfect for single bite sized brunching and for my weekly meal prep I like to make them in regular size muffin cups. I love this baked eggs recipe! The combination of mushrooms and sun-dried tomatoes is such a good one! 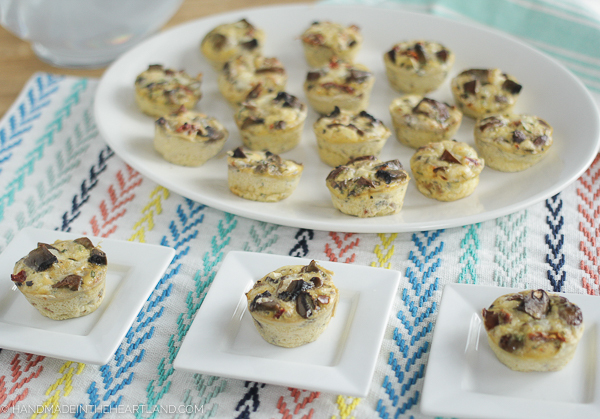 These individual bite sized vegetarian egg cups are the perfect delicious brunch item to serve this spring! Preheat the oven to 350. Heat a saute pan over medium heat and add the olive oil and mushrooms. 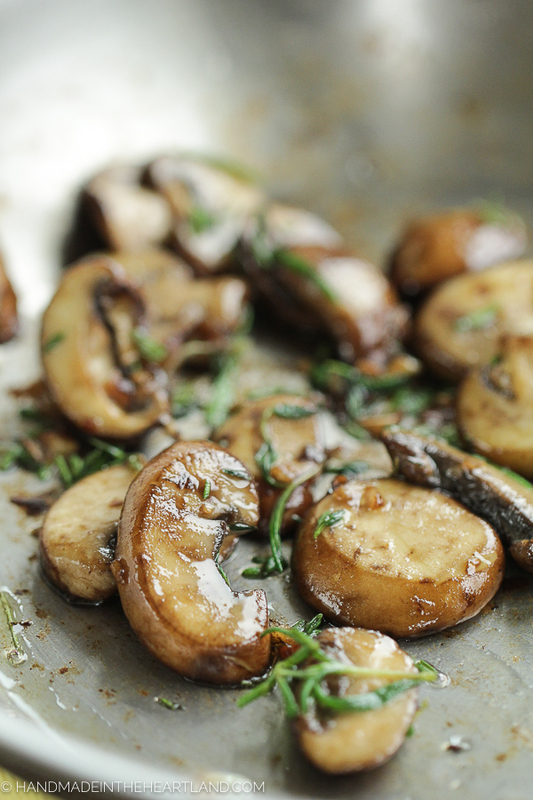 Cook until mushrooms release their juices and then add garlic and rosemary. Cook for a minute or two and then set aside and let cool. Beat eggs with a fork or whisk and then add milk, and shredded cheese. Mix until combined. 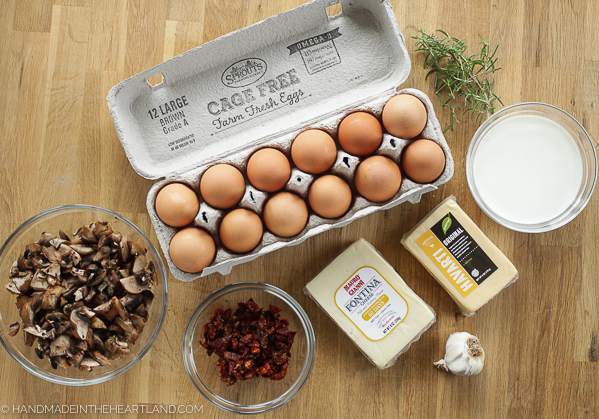 Add in slightly cooled mushrooms as well as sun-dried tomatoes and stir to incorporate. Spoon into prepared mini muffin tray or regular muffin tray 3/4 of the way full. Bake for 20-25 minutes or until a toothpick comes out clean. Let cool for 5 minutes before serving. If you make these let me know! 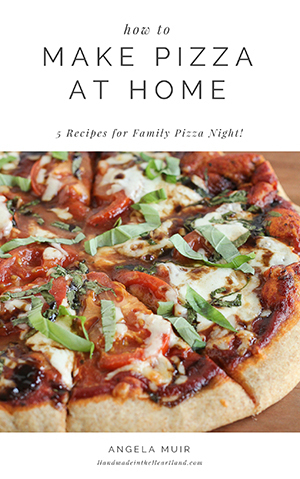 It makes me so happy to hear when you make recipes from the blog! I’d love to hear in the comments or tag me on Instagram (@handmadeintheheartland) or Facebook! There are endless combinations to try so please give me some more ideas! Be sure to follow Sprouts Farmers Market on Facebook to get the latest news for sales & more! Keeps for about a 5 days in the fridge. Freezes and reheats well.